That's a beautiful card, Joanne. 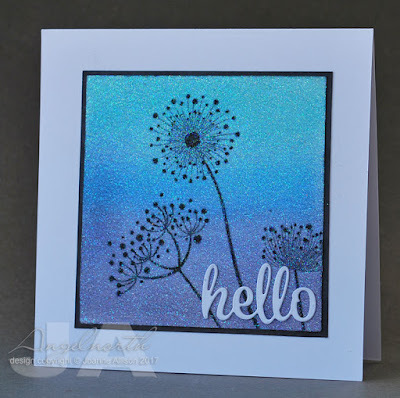 I love all that glitter on a nice background with a simple, but lovely scene. So elegant, Joanne! Love the background & colours. 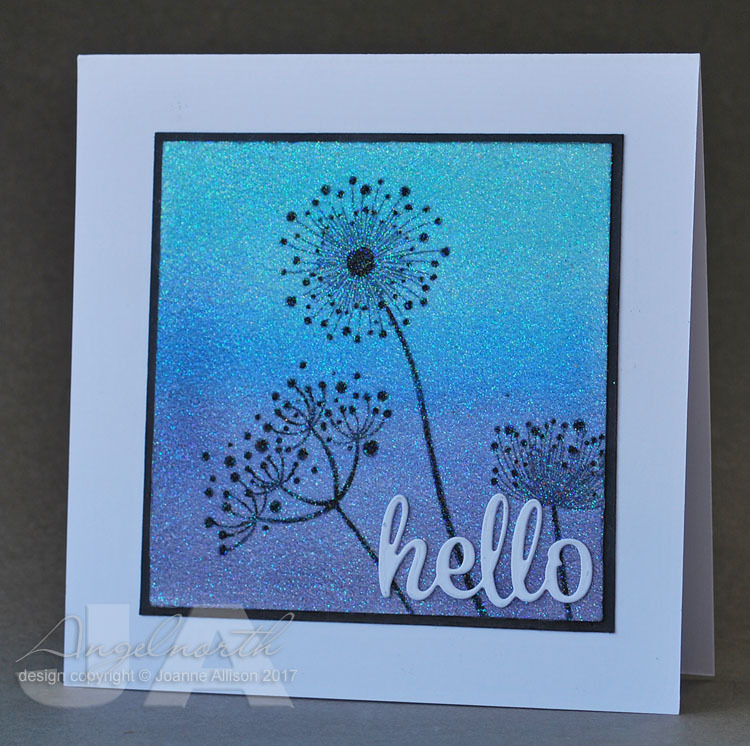 Great idea to have an all-glittery background.